The Green Party will be debating home education at their 2014 Autumn conference in order to update and improve the party policy, most particularly, section ED152. Asperger Home Education submitted the following commentary prior to the conference highlighting problematic issues with the current party policy and situation with the relationship bewteen home educators and the Green Party, along with proposals that should be implemented. Inconsistent is the best word to summarise the current home education policies of the Green Party. Several local branches of the Green Party support home education in principle and a parent's right to home educate their children without undue intrusion and interference from the state, but the national party policy is confusing and ambiguous. ED152 states 'Where parents still choose to educate their children at home this would be supported by Local Authorities which would work to ensure that all young people have a broad and diverse education of a high quality'. Are parents or the local authority ultimately responsible for a home educated child's education? Does this mean that local authorities will interfere with the day to day lives of home educating families and dictate what home educated children must learn and study? How broad and diverse is defined in this context remains a mystery to home educators. Suspicions have been raised in home education communities from time to time that it focuses on the issues of multiculturalism and cultural diversity more so than excellence in academic subjects like maths and science. The home education movement is not united into a single unified body because there are a 1001 reasons why families choose to home educate their children, and home educators of one persuasion do not always get along well with home educators of another persuasion. Asperger Home Education represents home educated children with Asperger syndrome. They have requirements, interests, backgrounds, and future proposals that may differ considerably from children who are home educated for other reasons � such as religious, libertarians, travellers, child prodigies, alternative lifestyle etc. The majority of home educated children with Asperger syndrome have previously attended school although it is quite common for their younger siblings (both with Asperger syndrome and neurotypical) to be home educated from the outset. 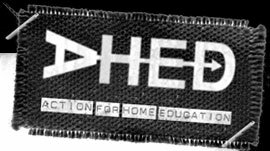 Reasons for choosing home education over school includes bullying; failure of the school to provide suitable SEN services; lack of any suitable schools within travelling distance; disrespect from teachers; various complications and difficulties fitting in with the National Curriculum; the option of accelerated learning in stronger subjects; more time for children to follow their interests or study subjects outside of the National Curriculum; and to learn life skills and social skills for the real world amongst others. Asperger syndrome is an unusual and fairly rare condition affecting something like 1 in 1000 to 2000 children. This results in SEN resources being difficult to allocate because in most schools there are only one or two children with Asperger syndrome at any one time. Hundreds of schools across the country currently have no children with Asperger Syndrome at all. Children with more common types of SEN � like difficulties with reading or arithmetic, or English not being their first language - will take priority for SEN resources over children with rarer conditions such as Asperger syndrome. This is even more acute for the higher ability children with Asperger syndrome who are up to the required standards in literacy and numeracy for their age because SEN resources tend to be directed towards the children who are behind in literacy and numeracy. The National Autistic Society are completely useless when it comes to providing support and services for children with high-functioning Asperger syndrome. They are only interested in people with traditional low-functioning autism who require residential care services or NAS run special schools. The NAS does not support or endorse home education nor does it provide any specific services for children who are home educated. The way in which the NAS is funded (nearly 90% of its money comes from the Government) means that this situation is unlikely to change in the foreseeable future. That is the main reason why Asperger Home Education was founded. We do not think that the Green Party really understands home education or the reasons why parents choose to home educate. Nor do we have any evidence that large numbers of Green Party members personally associate themselves with home educating families on a regular basis. There is also very little discussion of the Green Party amongst home educators judging from home education websites and discussion forums. Home educators do not appear to trust the Green Party when it comes to the right to home educate without undue intrusion and interference from the state. In contrast, UKIP has a solid policy on home education and they are trusted by the majority of home educators. Conflicts of interest exist between the factions which believes that the Green Party should be an environmental party of the radical centre (similar to the Green Party of 1989) or the alternative lifestyle types, and the factions which believes that the Green Party should be a broad left party or pick up where Old Labour left off. These latter factions are ideologically opposed to home education on demand and believes in compulsory state schooling. It is difficult to persuade them to support home education because they distrust individuals and families to sort out issues on their own and believe that the government owns its people. This fear of 'reds under the bed' within the Green Party goes a long way towards explaining why the Green Party is distrusted by so many home educators. The Green Party talks about good schools but this lacks a precise definition. All schools are different and what one parent considers to be a good school for their children another parent might not, and vice versa. League tables are not everything as parents often rate schools according to factors like what clubs and extra curricular activities they offer; the quality of SEN services; the type of children who attend; and cultural or religious provisions. ED151 states 'Too often parents exercise this choice as a result of negative experiences such as children experiencing bullying, feeling restricted by the curriculum or intimidated by large schools and class sizes. The Green Party's reform of the education system would alleviate many of these issues'. We believe that this is largely wishful thinking and it will be impossible for all schools to effectively provide what all children require. Another prominent concern that home educators have with the Green Party is their (possibly too) friendly relationship with the teaching unions. Every single British teaching union is hostile towards and ideologically opposed to home education, and strives to make school attendance compulsory by law. It is not difficult to see why because if home education becomes too popular then schools will close down resulting in teachers losing their jobs. Teaching unions represent the interests of teachers rather than the interests of children or their parents. They rarely say anything about bullying in schools or the provision of services to meet the needs of individual children. Their senior members generally have a poor understanding of certain types of SEN, including Asperger syndrome. Many a time a teacher who has gone out of their way to help and support children with SEN, or altered their teaching methods to accommodate the learning style of individual children, has ended up being harassed by teaching union bosses over issues like doing work without pay or work outside of their contract. The 'iron fist' of the teaching unions and the way it potentially jeopardises the education and welfare of children at school is one more reason why parents of children with SEN or who are victims of bullying have turned to home education. Experience from home educators over the years have revealed that local authority education officers rarely understand home education or the reasons why children are home educated. This is because their wealth of educational knowledge is generally only that which relates to state schools. Home education is not covered in any official training courses that they have attended. Therefore local authority education officers tend to look at home educating families through the lens of school education and use the National Curriculum as a yardstick to measure children's performance. This has been known to cause difficulties where children predominantly study subjects outside of the National Curriculum or use books and educational resources not used in British schools. Local authority education officers do not always know the law concerning home education so end up inadvertently, but unnecessarily, harassing home educating families when in fact they are in the wrong. A particularly grotesque example of this was in early 2010 when some officers thought that the proposals in the Badman Report had become law when they were still circulating in Parliament as a bill and had not yet even received approval from the House of Lords. The only service that local authorities can offer home educators which receives widespread support is the facility for home educated children to take GCSE examinations at a local secondary school or exam centre. This is not without complications in practice due to most GCSE subjects having a coursework component which often means children have to enrol at school full time in Y11 and attend lessons in subjects that they do not wish to study just to obtain GCSEs in subjects which interest them. As a result of the coursework situation with GCSEs, many home educated children choose to take all examination IGCSEs as private candidates at independent schools or cram colleges instead. State schools are generally prohibited from offering IGCSE examinations in a National Curriculum subject. Will changing ED152 to 'Where parents still choose to educate their children at home this would be supported by Local Authorities, which would offer optional assistance and support to families who request it' encourage more home educators to vote for the Green Party? The new policy is certainly more reassuring and less confusing or ambiguous to home educators than the existing policy, and removes much of the suspicion of it concealing a hidden agenda. However, we feel that the Green Party still has some distance to go in order to build up a sufficient level of trust with home educators before the widespread home education community has the confidence to offer their support without worrying that they will incur undue intrusion and interference from the state. The right way to achieve this is for grassroots members and officers of the Green Party to better understand home education by actively listening to home educators then taking heed of their advice and issues which concern them in addition to ensuring that factions within the party and associates outside of the party which are hostile towards home education are clearly kept at bay.